Malaga Cove is the area of Palos Verdes Estates that is located at the beginning of Palos Verdes Drive West, just up the hill from Hollywood Riviera and Redondo Beach along the coastline, where the road divides. One direction leads in an easterly direction toward the Valmonte area where eucalyptus trees are the dominant growth and beautiful eastern traditional and spanish homes premoninate. To the right at the triangle leading into Palos Verdes is Malaga Cove with its charming Mediterranean shopping center and lovely coastline view homes reminiscent of those seen along the French Riviera. Malaga Cove is situated on a slight incline from the rocky shoreline uphill to the area known as Montemalaga where larger and flatter lots prevail. Malaga Cove has more homes with coastline views that the rest of the Peninsula because the area overlooks the Santa Monica Bay and because the land slopes uphill from the rocky shoreline below. As a consequence of the larger percentage of homes with gorgeous ocean and city lights views, coupled with the desirability of its easy egress off-the-hill, Malaga Cove homes tend to command higher prices on the basis of price-per-square foot. Access to the tide pools and to a wide sand beach with lifeguards in the summer from lower Malaga Cove coupled with access to the Beach and Athletic Club located on the bluff are major contributors to the area\'s appeal and value of its real estate. Originally designed in 1929 by noted architect Kirtland Cutter, the Palos Verdes Estates Beach and Athletic Club sits below the bluffs of Malaga Cove with gorgeous ocean views and a long waiting list for membership. The facility, earlier named Roessler Pool and Beach Club in honor of the City\'s first mayor, in the late 1980s was found to need of extensive pool and structural renovations. To collect funds for the repairs, the City in 1990 allowed the sale of future Club memberships. The resulting club has been very successful and is a gathering place for members and their families. Its success has increased demand who are not members can pay a daily fee to use the facilities. 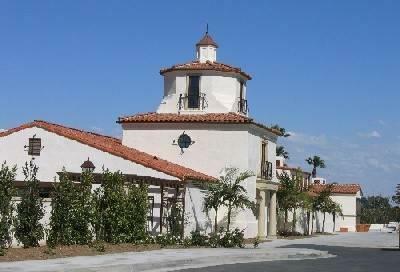 Malaga Cove Plaza has been the center of activity for the area since the 1920s when the first homes were constructed. 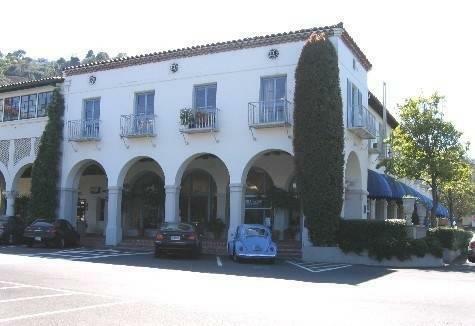 The Gardner building in Malaga Cove Plaza was, in fact, the first commercial center on the Peninsula. It served the community as the post office, grocery store and even as the local schoolhouse before construction of Malaga Cove School was completed. The Gardner building has a rich history. Many residents today recall it as a drug store; its ice cream fountain being the main attraction. Today it is the home of Coldwell Banker, and my office location. In the center of Malaga Cove Plaza is a cherished replica of the Neptune statue and fountain found in Bologna, Italy. This replica is a marble 2/3 size of the size of the original bronze statue. It was found in a Venice courtyard and was donated to the City in 1930. Its image is used as the logo for the City of Palos Verdes Estates. 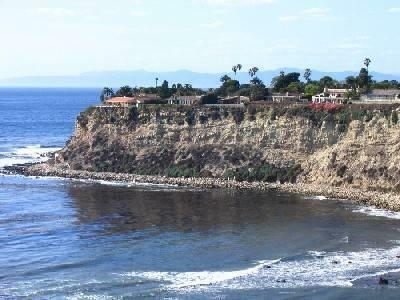 A trail on the bluff below Malaga Cove School leads to a wide sandy beach in the adjacent city of Torrance. It has County Lifeguards, a snack shack, and a bike trail that can be enjoyed at least as far north as Marina del Rey. Malaga Cove has many jogging trails, some are hidden from view behind homes. Parks and other landscaped areas abound. 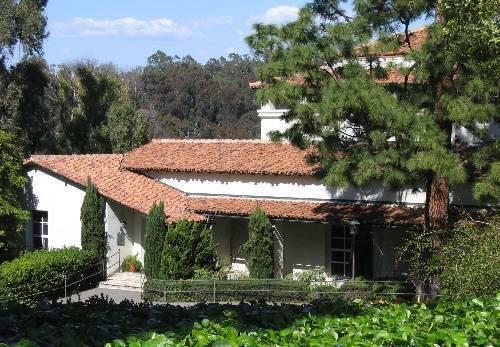 Among them is Olmsted Place located near the Gardner Building between Palos Verdes Drive West and Via Tejon and Memorial Park, located across from City Hall on Palos Verdes Dr. West. Undeveloped expanses of coastline can be enjoyed in lower Malaga Cove as part of the City parkland system. Open space is also found along the uphill side of Palos Verdes Dr. West between Malaga Cove and Bluff Cove and in canyons and hillsides throughout the City. Unlike many seaside communities, this city does not have the building density that is prevalent in many other desirable areas. The ruggedly beautiful coastline provides enjoyment for surfing enthusiasts and tide pool observers, as well as the rest of the community. There is an easy access trail from the bluffs of Malaga Cove to reach the shoreline. Located at 3301 Via Campesina, the Golf Club is owned by the City but it is operated under a concession agreement. Membership is limited to resident owners of Palos Verdes Estates property. As with the Beach and Athletic Club, there is a long waiting list for membership, but residents are permitted to play with daily fees. The dining room is open to the public. For specific membership details and golf scheduling, click here. Also located on City property, the Palos Verdes Tennis Club is operated under a concession agreement. Funds to construct the courts and clubhouse were obtained through community donations and memberships. There are 12 courts, 10 lighted for evening play. For specific membership details, click here. 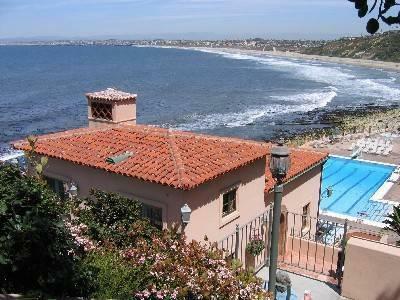 The Palos Verdes Stable is another City-owned property that is operated under a concession agreement. Private horses can be stabled there while others are available for trail rides. Lessons and summertime horse camps are offered. The entire Palos Verdes Peninsula is served by the Palos Verdes Peninsula Unified School District. Attendance areas can be found by accessing "School Information" on the main page of this website. The first school built in Palos Verdes was Malaga Cove School (built in the mid-1920s). It served as one of the four District intermediate schools until it was closed by the District as unneeded and was rented to private schools. It also provided a home for the Palos Verdes Historical Society. Recently the District with increasing enrollment has found the need to reopen closed schools and Malaga Cove School has been returned to District use. As an aside, when Palos Verdes Estates was originally subdivided, the location of future schools were established---usually in the finest view areas! These locations were later deeded to the Palos Verdes Peninsula Unified School District with reversionary clauses. The reversionary clauses stipulate that if the school district should no longer need those properties for school purposes, ownership to the properties will revert the City of Palos Verdes Estates. This foresight has protected the beautiful school sites from being considered for sale by the school district when there appeared to be excess school properties. At the intersection of Via del Monte and Via Corta is one of the treasured Old Spanish buildings of Malaga Cove. 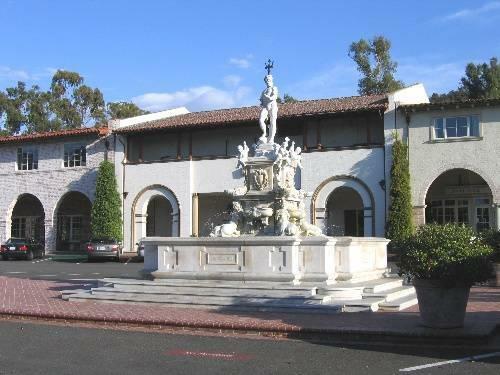 Surrounded by lovely rolling lawns, a fountain and waterfall along the front walk, it is the home of the Malaga Cove Branch of the Palos Verdes Peninsula Public Library. This architectural gem was built in 1930. It served as the library for the entire Peninsula until construction of the main library on Deep Valley Dr. in Rolling Hills Estates and a branch library in Miraleste on Palos Verdes Dr. East. Offering art exhibits and periodic book sales, the library is a valuable resource to the community. Its lovely adjacent grounds, known as Farnham Martin Park, have fountains and large expanses of lawn. During summer months, residents spend Wednesday evenings in the park among friends and other music enthusiasts enjoying a variety of offerings in the Summer Concert Series. They carry blankets, chairs and picnic baskets or purchase a boxed dinner at Malaga Cove Market to enjoy with the musical faire. The park can also be reserved for weddings. Retail stores, a branch of the Post Office, escrow companies, real estate offices and other professional services have a presence in Malaga Cove Plaza and on surrounding streets. In addition to Malaga Cove Market, which offers groceries, a delicatessen, sandwich bar and bakery, there is another sandwich shop and a fine French restaurant, La Rive Gauche.